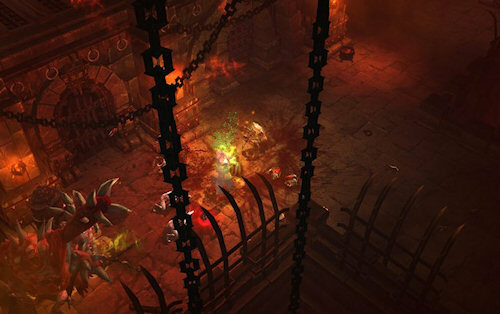 During Activision's quarterly investment call, Blizzard's CEO Mike Morhaime has revealed some new deatils about Diablo 3's release status. The first bit of news is that the game's release date, or even year, still isn't locked down. Blizzard does hope to release it this year, along with an expansion pack to StarCraft 2, but if that doesn't happen both titles will definitely be coming in 2012. The second bit of news is that Diablo 3 will be getting a beta and from the sounds of it - it should be taking place sometime this year. Possibly within the next six months. "We are very excited about Diablo 3. I am looking forward to sharing more news about the game and our upcoming Beta, during the next conference call." With the next call a mere three months away there's a distinct possibility we could all be playing a Beta for Diablo 3 in time for E3 2011 in June. In other Diablo 3 news, if you haven't given their Facebook Page a like - doing so gives the team incentive to release new screenshots, concept art, and more. The above screen was posted on their Facebook page and there's a handful of other new screens and some swanky looking concept art as well. Page created in 0.2422 seconds.